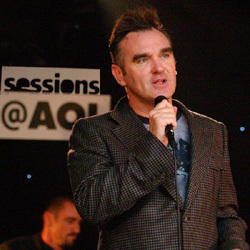 These three songs were recorded by Morrissey in the AOL tent the day before his performance at the Reading Festival on 28 August 2004. The lot was made available from the American iTunes for 2.97 US$. It was not made available outside the USA. The artwork displayed here is the one offered by iTunes with download of the tracks.